Dangerous storms in Charlotte and several southern states left quite a bit of widespread damage that will take weeks to clean up. After making sure everyone is safe, it’s very important for homeowners to inspect their homes and be sure it’s not in need of storm repair. If there are damages from the storm, you need to get it checked out and repaired, and filed with your homeowners insurance company immediately. The one thing many of us won’t even consider using for a few more weeks, our home air conditioners, heat pumps, furnaces and gas packs, may have been damaged and in need of repairs you cannot see. Hidden damages to your home HVAC unit from flooding, lightning, and hail damages, may be covered by your insurance, but only if you check it out and the damages are uncovered now. The last thing you want to hear 6 weeks from now, is that the air conditioner repair costs may have been covered by insurance. You have 2 choices when checking your home hvac system for storm damage. 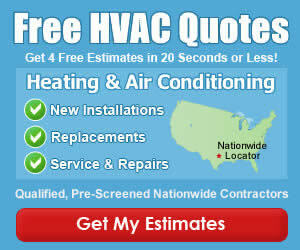 You can do it yourself to a certain degree, or just call in a Charlotte HVAC company to come in and do it for you. If you choose to do a basic inspection on your own, you should still consider calling in a pro (get free estimates) to perform seasonal maintenance, so they can check for unseen damage. Start Up Tips for Home Air Conditioners – Walks you through checking several things before and after startup, to make sure the unit starts and runs correctly. Preventing Black Mold from HVAC System – Helps you inspect the duct and drain lines of your home hvac system to prevent mold issues. Beware of Fraud Scams After a Storm – Article explaining the rise of fraudulent claims surrounding your home hvac system. Air Conditioner Recharge Prices – If the contractor discovers that your refrigerant lines may have been damaged, this guide helps you understand the cost for recharging the air conditioner. Remember that you need to get this done as quickly as possible if you need to file an insurance claim with your homeowners insurance. If you wait to inspect your home air conditioning or heating system after a storm, you may not be able to claim the damages with your insurance company. 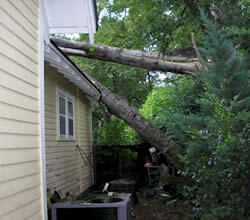 Was Your Home HVAC System Damaged from a Storm? If so, please share your own experience below. What was damaged and how much was the hvac repair cost? How soon after the storm did you have it inspected, and how quickly was it repaired?